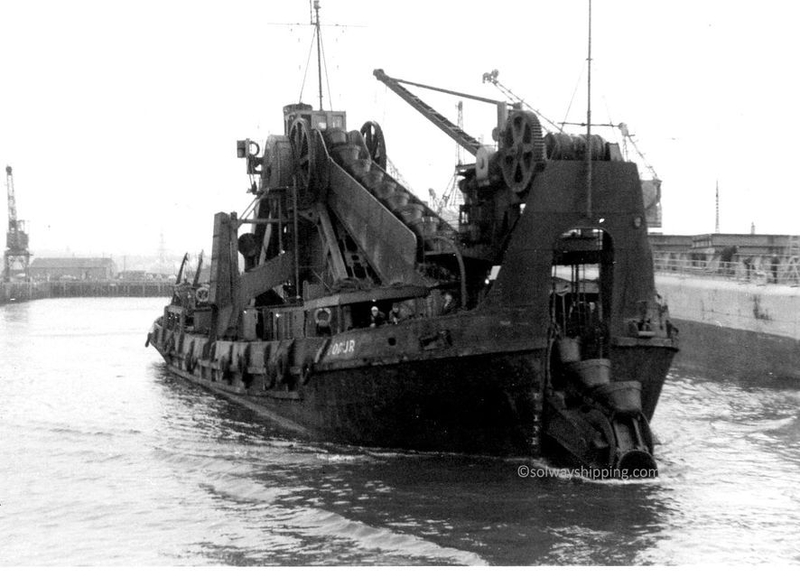 To keep this continuous armada of ore carriers docking safely, the Workington Harbour & Dock Board had their own "Floating Plant" consisting of the bucket dredger "Cocur", two hoppers, "Oldside" and "Mossbay" for the disposal of the dredged up silt, and a steam tug "Solway", pictured below, to assist the carriers to dock. I worked on the "Solway" for 3 years and it was a great job, my only regret was not taking more photographs! 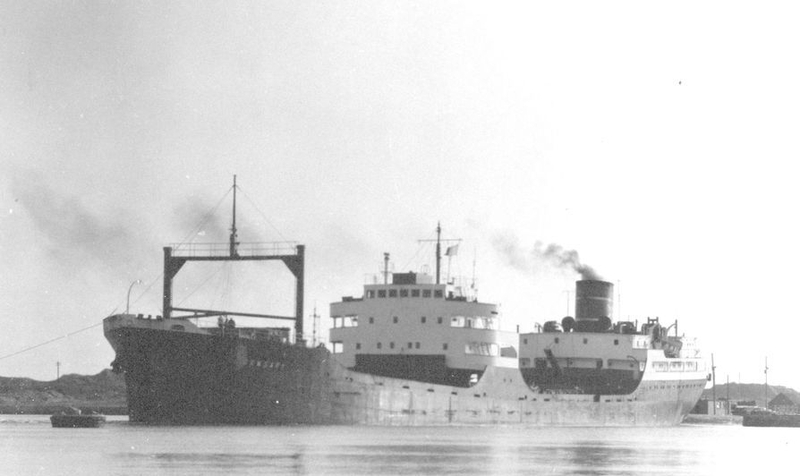 The "Solway" (232 tons) formerly "Empire Ann" was built in 1943 for Townsend Ferries and was sold to United Steel Companies in 1948. 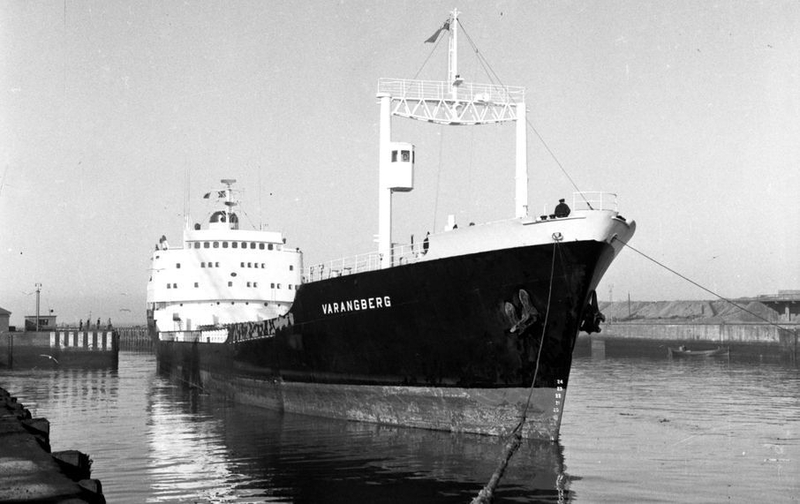 She was sold on in 1975, with the collapse of the steel making industry, and eventually scrapped at Fleetwood in 1977 by Meyer, Newman & Co. Ltd. 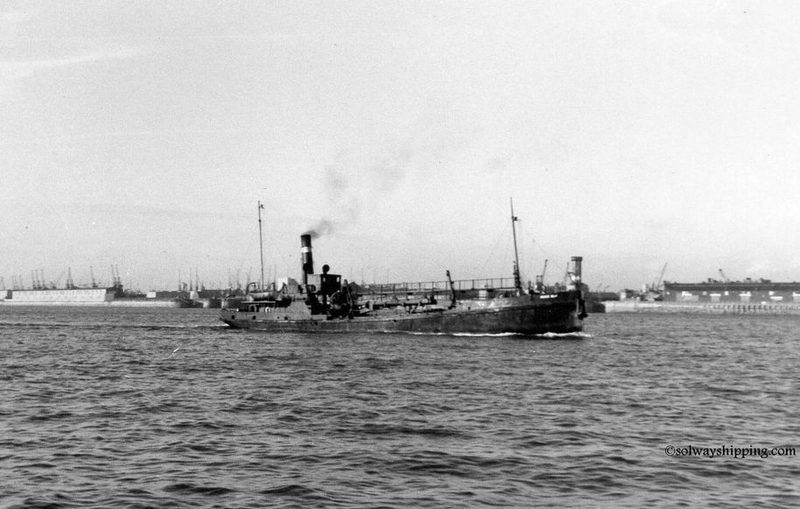 The "Cocur" which was built for Workington in 1949 by Fleming and Ferguson on the River Clyde with a 588 gross tonnage. 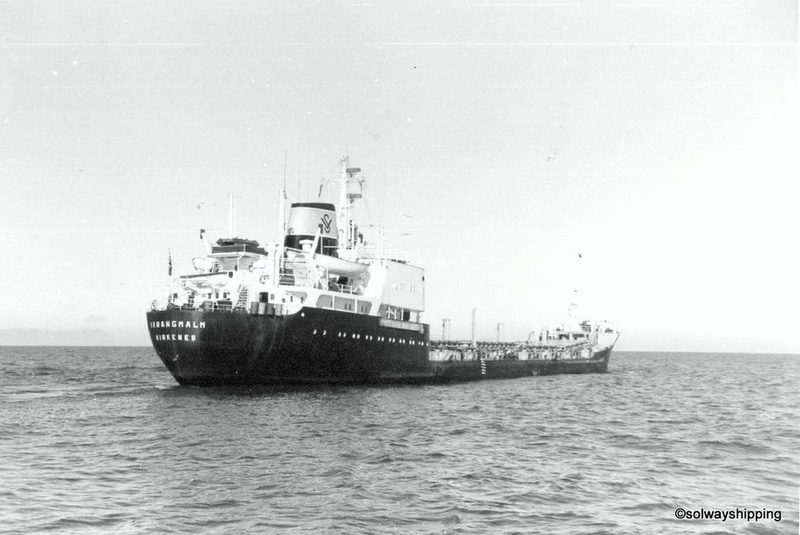 She was replaced by contracted dredgers when the fleet was in need of upgrading and to lower costs. 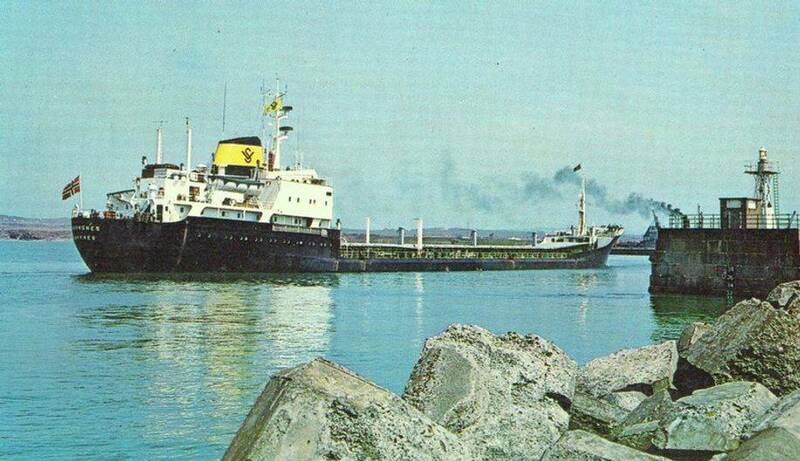 Sold in 1972 and renamed "Vittoria" she was broken up in 1983. "Oldside" was built in 1908 by CH Walker. She was 172' long and 436 grt and was coal driven. The only "mod-cons" on the bridge were a compass and a steering wheel! She was laid up for a while so it was decided to use the tug crew, who were also in a quiet spell, to man her up so that they could use both hoppers with the dredger. Having not been used for sometime the mate told me to take an oil can and oil everything that was rusty, which i did. So off we went to collect our first load to dump a few miles out into the Solway Firth on the waste grounds. The release mechanism was activated and the doors in the bottom of the hold opened and the silt dropped out, so far so good. A large metal disc then had to be tightened against another one which then provided the grip to lift the doors back up, ...well that was the plan, but unfortunately an inexperienced hand in these matters had oiled the friction plates..because they were rusty! It was the mates fault entirely I reckon! but it only took a couple of hours to clean the oil off and everything was fine. The last member of the fleet. and the oldest.,. "Mossbay" She was built in 1901 and was 434 grt and similar to Oldside at 172' in length, she also was built by CH Walker and had the same set up as her sister ship on the bridge etc. 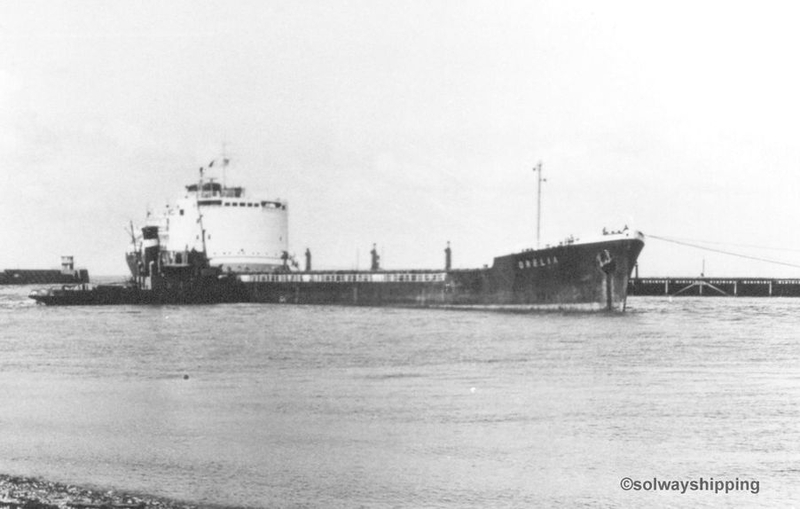 She is pictured here on the River Mersey circa 1969. 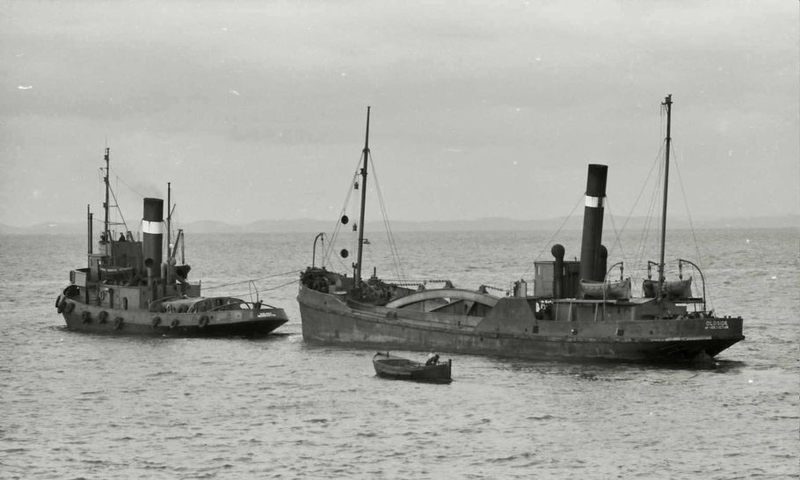 All the ships required dry docking for inspection so it was decided the dredger would be towed by the Solway and the two hoppers could steam down on their own after taking on extra supplies of coal! It was an uneventful voyage apart from when we were passing Eskmeals gun range south of St Bees Head, and splashes started to appear in the water a mile or so in front of us!! 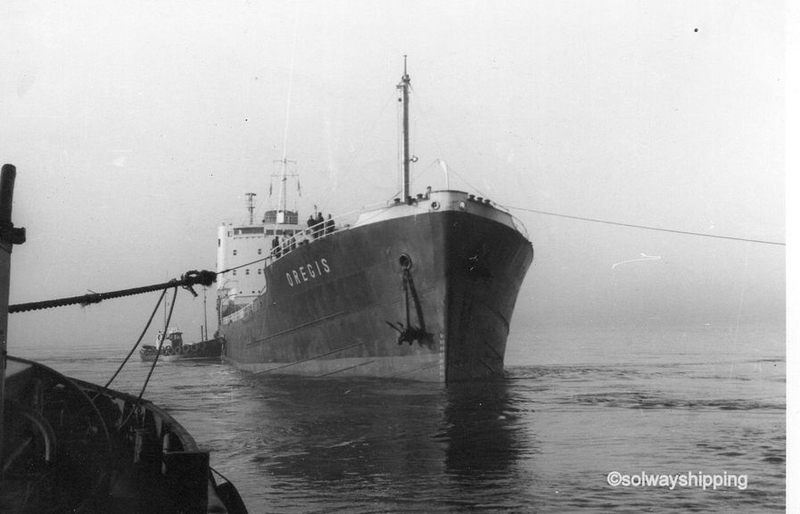 We, on the Solway, went into Cammel Lairds, Monks Ferry No 1 drydock for several days and while work got under way, the mate and myself spent many happy hours walking around the docks in Birkenhead looking at at the scores of ships from all over the world loading and unloading. 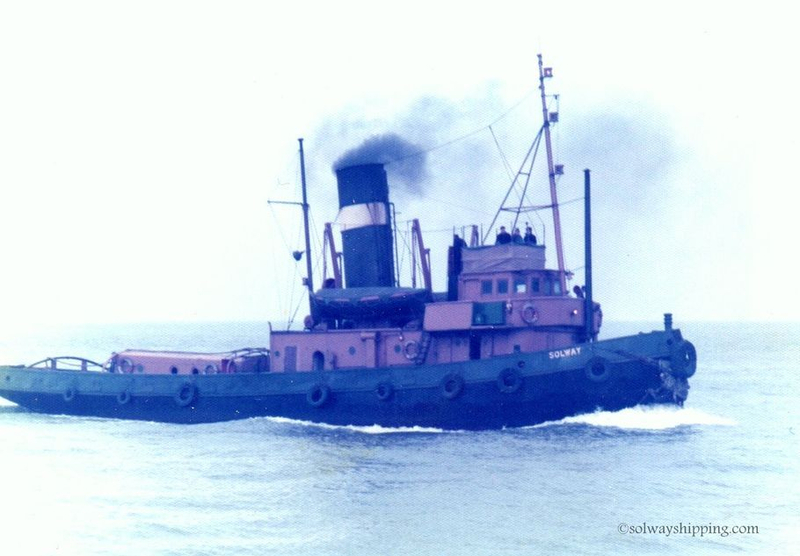 A sad view of the tug Solway towing Oldside on her final journey to the scrapyard in 1977. 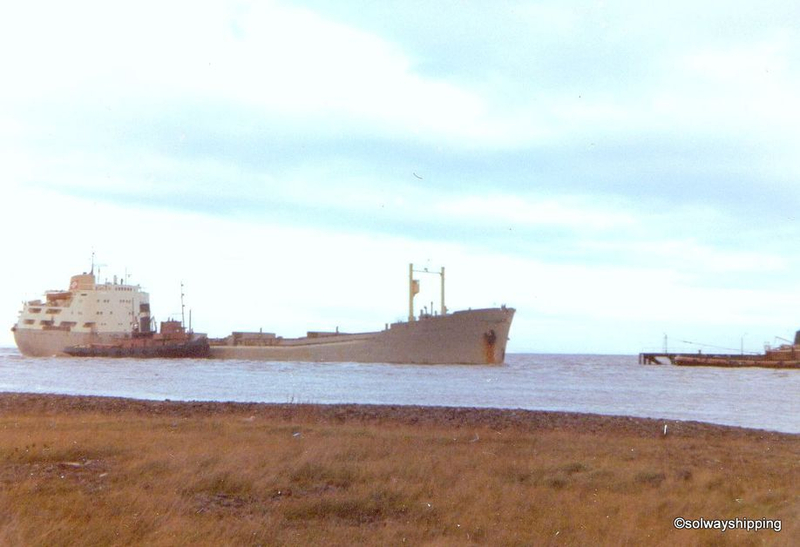 She was broken up at Barrow in Furness. 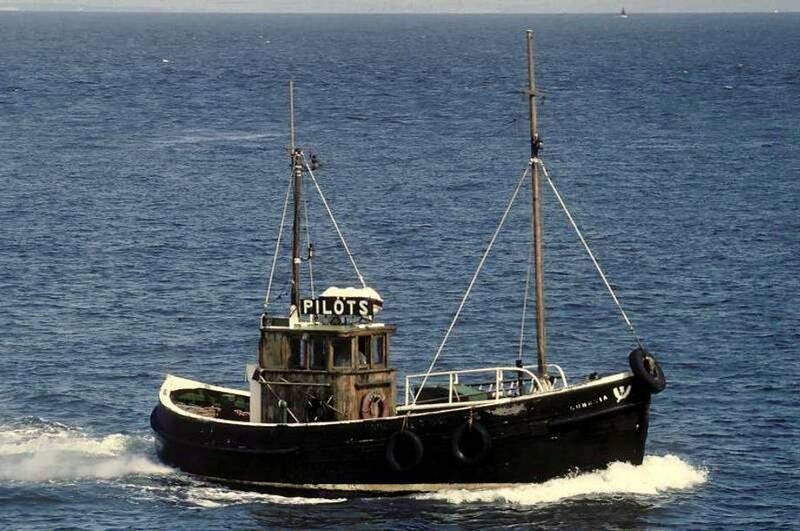 The Workington pilot boat "Cumbria" which i spent 18 months working on, was a hard working boat in the 1960's and 70's and could be seen (and heard! 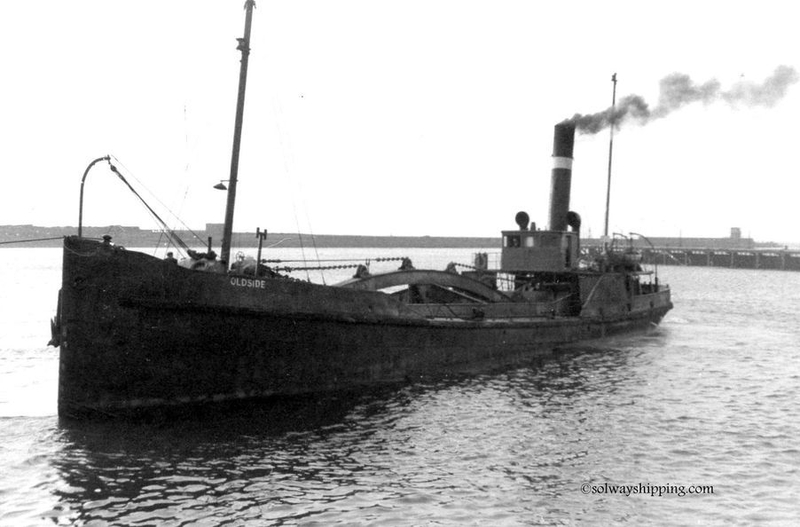 there was no silencer on the engine) daily going about her business taking the pilots out to ships docking at Workington, Silloth and Whitehaven also until they got their own boat "JT Pears" The "Cumbria" was purpose built at Girvan and turned out to be a very reliable sea worthy vessel. 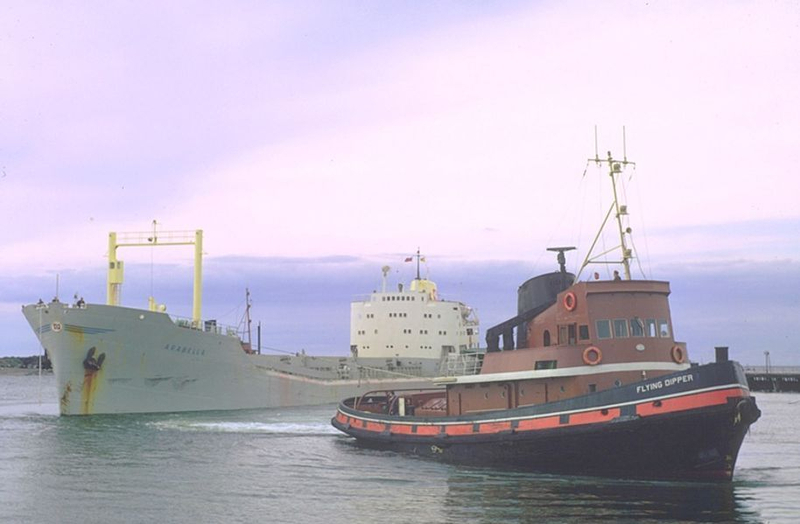 "Arabella" assisted by tug "Solway" and a Clyde Shipping Co tug on the bow. 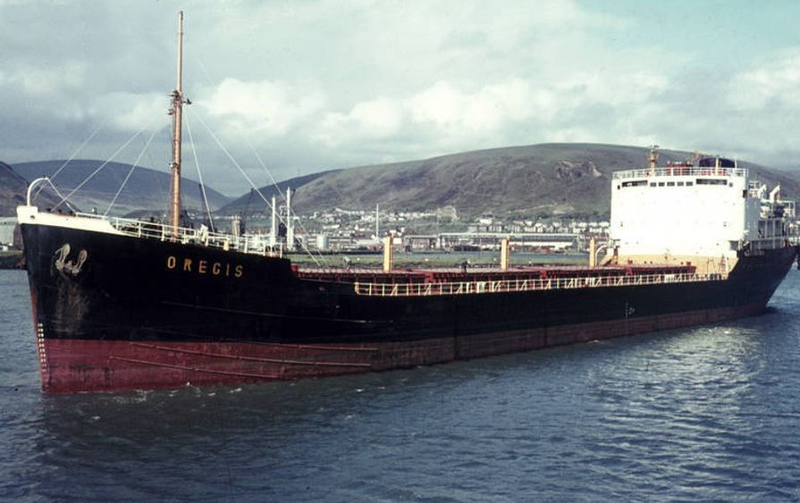 Photographed in December 1970 is Houlder Bros. "Oregis" aground in the entrance channel while attempting to dock. This pic made the front page of the local paper at the time, reinforcing the old saying.."always take your camera with you!" 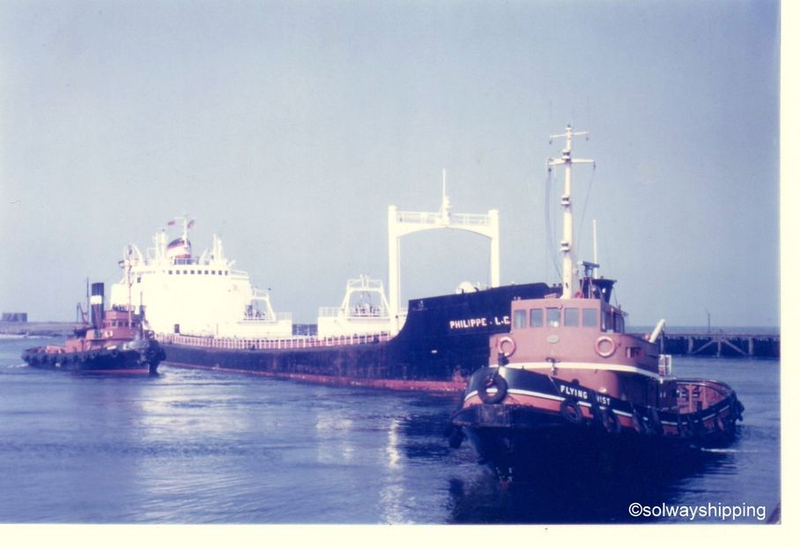 Buries Markes "Philippe LD" being docked by the tugs "Solway" and Clyde Shipping Companys "Flying Mist"